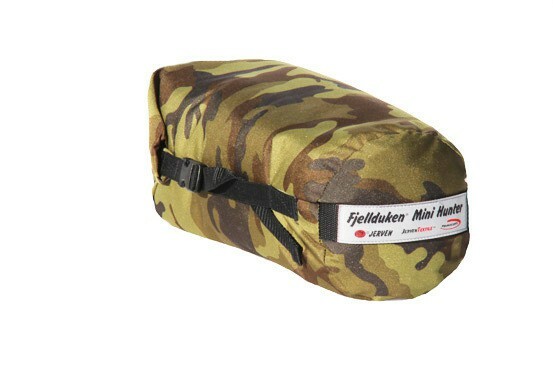 Protective bag: simple, tight, reliable and insulated. 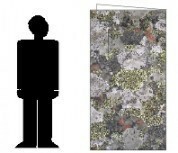 Camouflage colors. Identical to the Hunter, but is narrower and shorter. ideal for persons 170 cm. 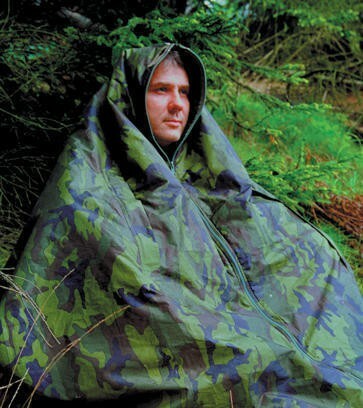 Use it as a poncho, bag (or in stead of sleeping bag). For all-year use. 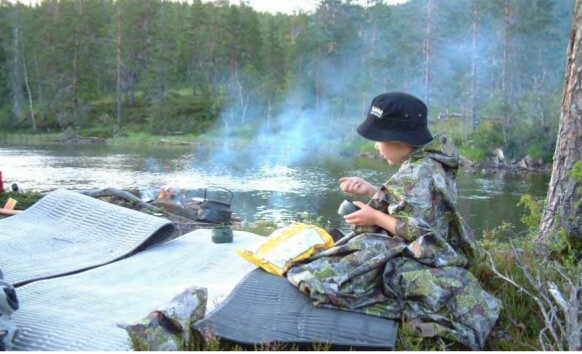 - Raincoat : using zippers , you can transform your Fjellduken a simple poncho. - Wind sack : to protect you from the weather. Delivered with rescue flag 50 x 50 cm, Armings and packing pouch, with lace-closing.